A Top 20 Billboard and iTunes album in 2016. The latest in Bertolozzi’s groundbreaking works using monuments as instruments. 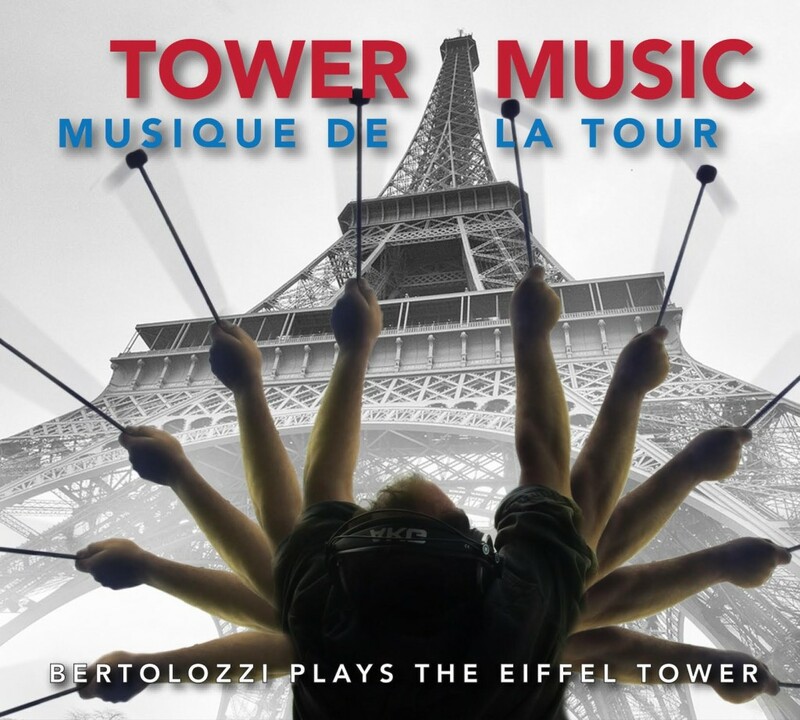 Hear the Eiffel Tower sing as never before. A Top 20 Billboard album in 2009. 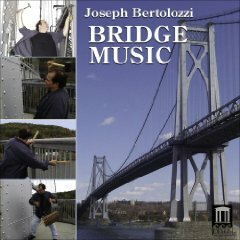 Bertolozzi’s seminal work from New York’s Mid Hudson Bridge, revealing this unlikely “instrument” as a comprehensible means of musical expression. 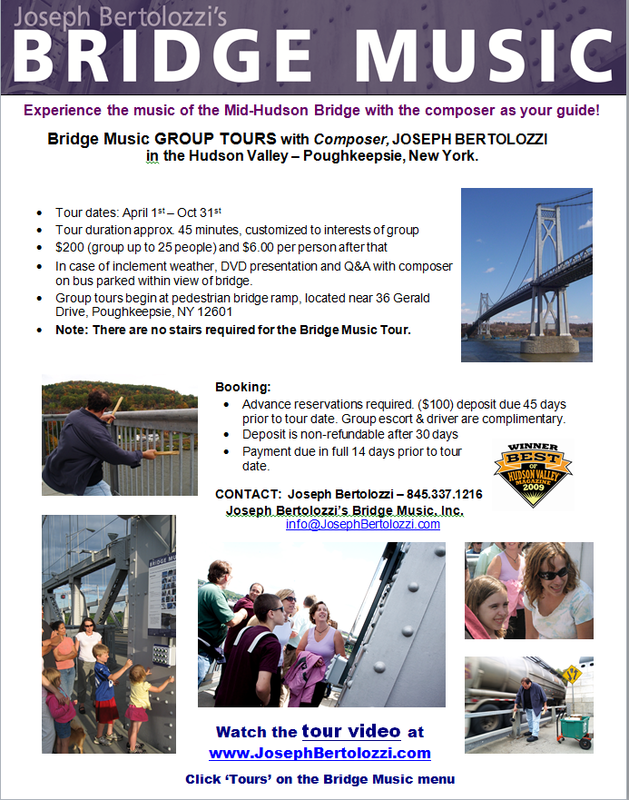 Using the suspension ropes, railings, girders and in fact every part of the bridge except the roadway Bertolozzi has composed vibrant, site-specific music expanding the boundaries of known music-making while integrally incorporating one of New York’s landmarks, using the river and mountains themselves as his theater. 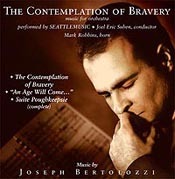 ”Modern Americana” best describes Bertolozzi’s album of orchestral music featuring the title track, commissioned by the US Military Academy at West Point for their Bicentennial. The Bronze Collection is a stunning percussion project, an assemblage of gongs and cymbals from around the world. 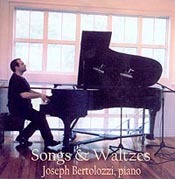 Bertolozzi’s gift for melody is nowhere more evident than in this gentle collection of compositions.Effortlessly shifting from sparkling meditations to the directness of a child’s gaze, the simplicity of presentation speaks to the confidence of a composer capable of creating sophisticated, large scale works, but who can still pour out one beautiful melody after another. If purchased as a download (in PDF format), the music will be sent to the e-mail address listed on your order unless indicated otherwise in the “Instructions to Merchant” field. Unless you need an official hard copy, please download. If purchased as a hard copy, please indicate your ‘street’ mailing address. NOTE: This music is a digital download in PDF format. It will be sent to the e-mail address listed on your order unless indicated otherwise in the “Instructions to Merchant” field.